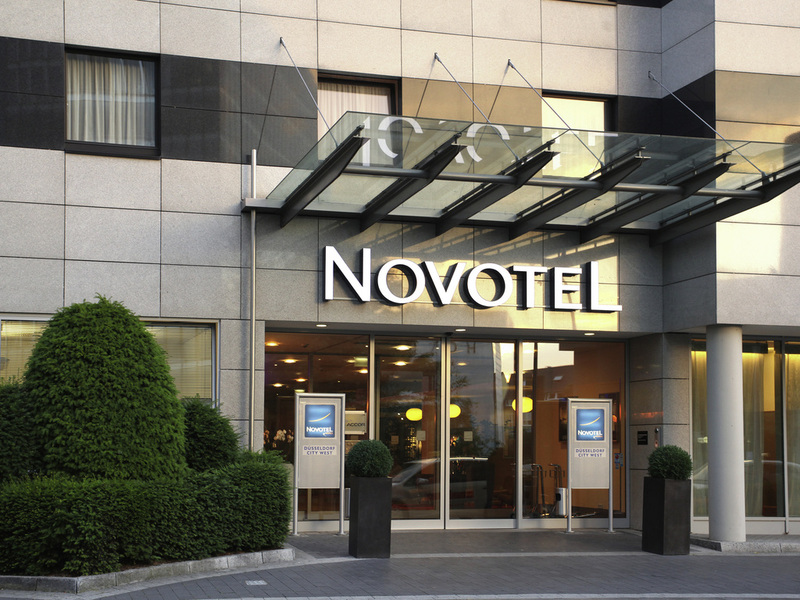 Enjoy a stay in the Seestern business center at the Novotel Düsseldorf City West hotel. With modern meeting rooms and free WiFi, this 4-star hotel is ideal for business travelers. Unwind after a productive day in our spacious spa area with sauna, steam bath and fitness equipment. The old town with its theaters and museums, as well as the famous Koenigsallee, is only 3.1 miles (5 km) away and easily accessible by U-Bahn. Round off your evening at our bar with snacks and cocktails. Spacious and adaptable, the Novotel room is truly a place for living and is perfect for all your needs. Novo² offers an innovative combination of Lounge Bar, and Eating/Business area with a totally new developed Food concept. Feel good and be inspired by our easy and attractive kitchen. We are looking forward to welcoming you. Salads and burgers, wine and champagne, long drinks and cocktails, coffee specialties and Altbier - we are on hand to serve you your favorite drink at our Novo² lounge from 10am to 1am. Escape from the stresses of everyday life!